Nowadays, every minute new notification appears on the smartphone, related to apps, chats, messages, calls, Facebook and more. Taking out the smartphone for checking every single notification is too boring and sometimes of no use when you get unimportant notifications. Also, checking for activity tracks and notifications on the smartphone every hour is not so cool when you are busy or at an important meeting. If you don’t want to check smartphone every now and then and want to track your daily routine accurate then Smartwatches are for you. There are many good smart watches for men and women. We have done research on all latest available smartwatches and made this list of best Smart Watches For Men for you if you are looking for the same. No need to search on every single website for comparing smartwatches and looking for the lowest price. We have done all the work for you. This is the list of best smartwatches for men in India to buy. The price range of these smart watches is in between Rs. 50000 to Rs. 10000. Choose the best smartwatch as per your budget. This is the list of Smart Watches For Men with all the features, details and lowest price. Find the best smartwatch for yourself that is compatible with your device. 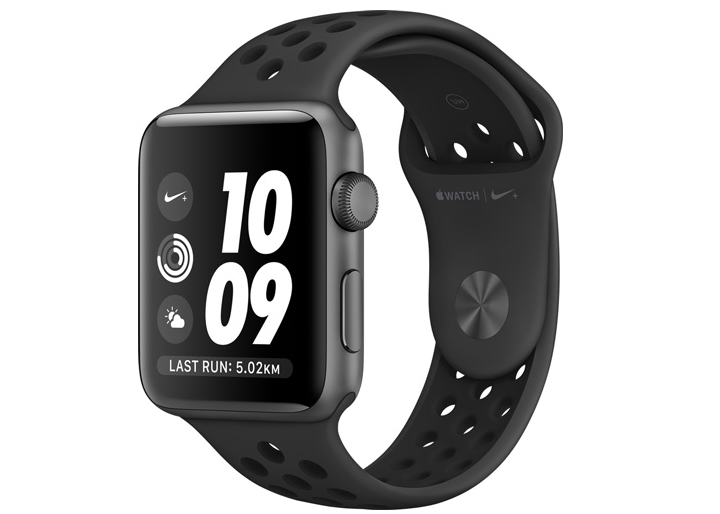 Apple Watch Nike+ smartwatch is the output of two best companies Apple and Nike. That’s why it is the best smartwatch in the world. This smartwatch is only compatible with iPhone 5, 5c, 5s, SE, 6, 6 Plus, 6s, 6s Plus, 7, or 7 Plus and iOS 10 or later. It has a Space Gray color aluminum case with Ceramic back and digital crown. It has sensors like heart rate sensor, gyroscope, accelerometer and ambient light sensor. The Apple watch Nike + has watch OS 3 and runs on S2 dual-core processor. It has built-in GPS to track your speed, distance, and track details. Apple Watch Nike+ is water-resistant up to 5 meters. It has connectivity like Wi-Fi (802.11b/g/n 2.4GHz) and Bluetooth 4.0. These all features make this watch one of the best smartwatches for men. Connectivity: Wi-Fi (802.11b/g/n 2.4GHz) and Bluetooth 4.0. 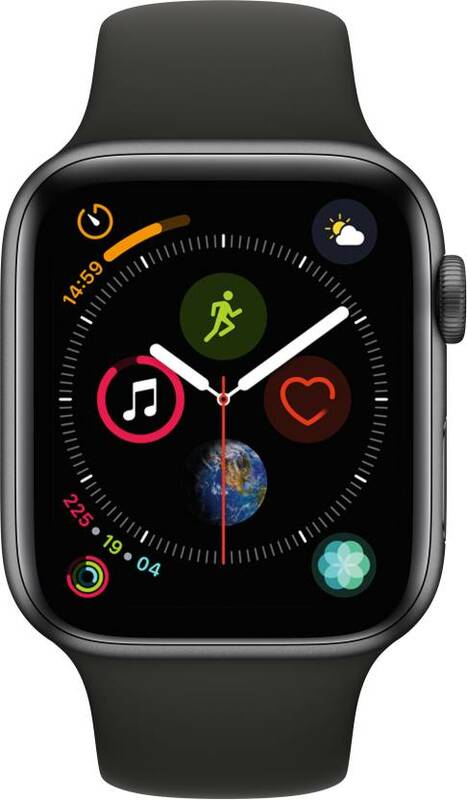 With Apple smartwach series 4, you can listen to music, view photos and messages, track your fitness levels and can do many other things. It comes with an innovative Electrical Heart Sensor and a Re-engineered Digital Crown with haptic feedback. 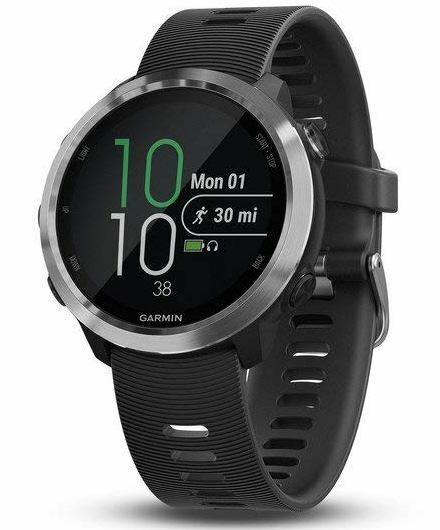 The watch has up to 18 hrs of battery life and it is water proof up to 50 m.
Garmin Forerunner 645M is a smartwatch with mp3. You can up to 500 songs in your watch, and connect with Bluetooth headphones for phone-free listening. It has up to 7 days battery backup in smartwatch mode and 5 hours in GPS mode with music. This smartwatch has built-in support for running, cycling, pool swimming, elliptical, cardio and lots more. If you want a complete package in smartwatch, this smartwatch is perfect. 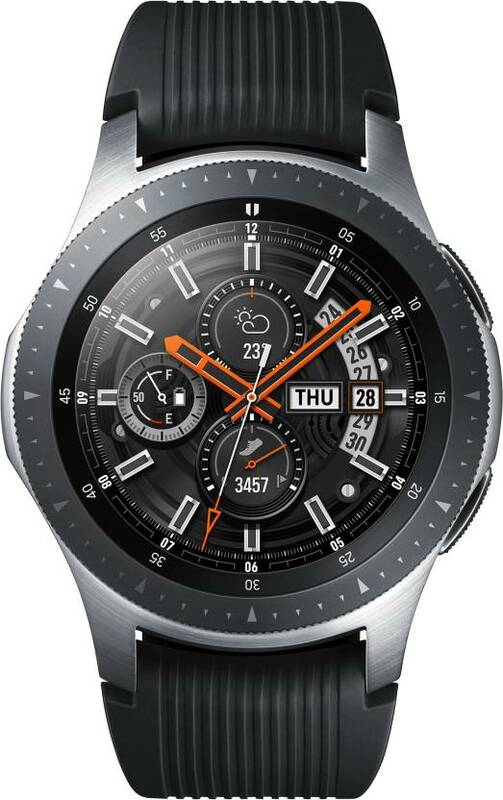 This Samsung Galaxy watch is the newest version of the Samsung Smartwatch. It has Circular Design and Vintage Textured Body with Scratch Resistant Gorilla Glass DX+. The smartwatch is better in design, battery and sensor in comparison to Samsung Gear 3. 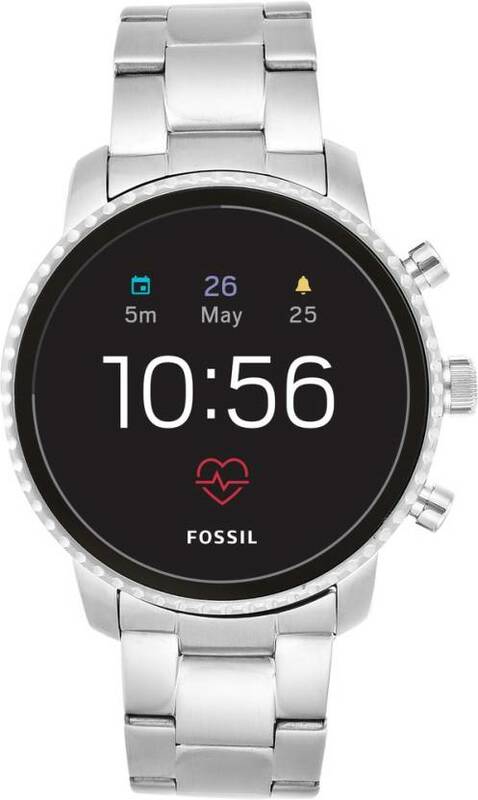 The Fossil Explorist HR smartwatch helps you stay updated on your fitness goals and alerts you with smartphone notifications. It has a Heart Rate sensor that senses your heartbeat and gives notifications to you. This smartwatch comes with Google Pay which helps you to make payments at almost any place where you use a credit card. 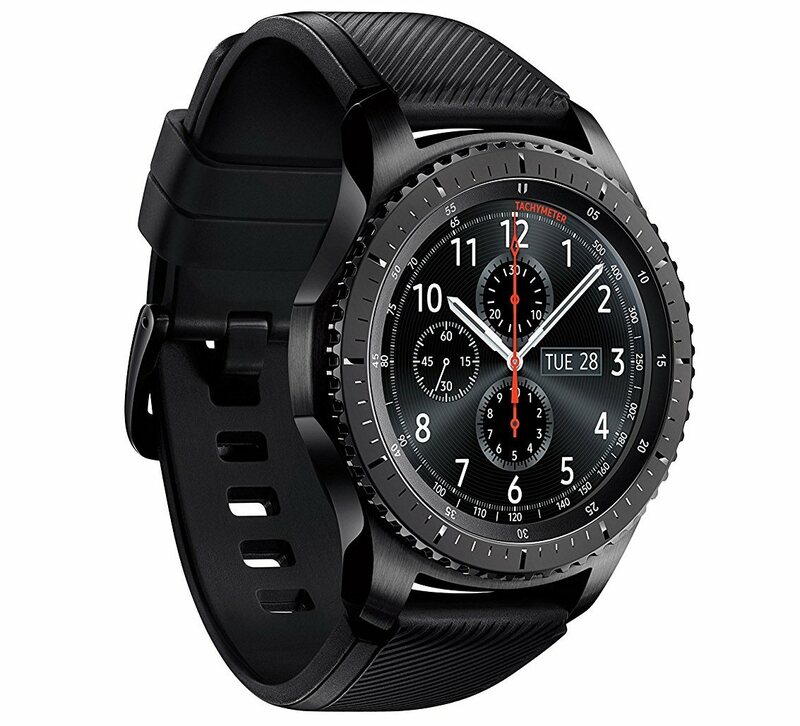 Samsung Gear S3 is available in two series Samsung Gear S3 Frontier and Samsung Gear S3 Classic. The Frontier comes with a rubber strap as standard and it is more rugged looking while the Classic comes with a black leather-based strap as standard and it is more classic in looks. Both watches are dustproof, shock-resistant and water-resistant but not suitable for swimming or diving. Both smartwatches are capable of fitness and tracking. Samsung Gear s3 has awesome sensors that give health, music, social, notifications, calls and other details. 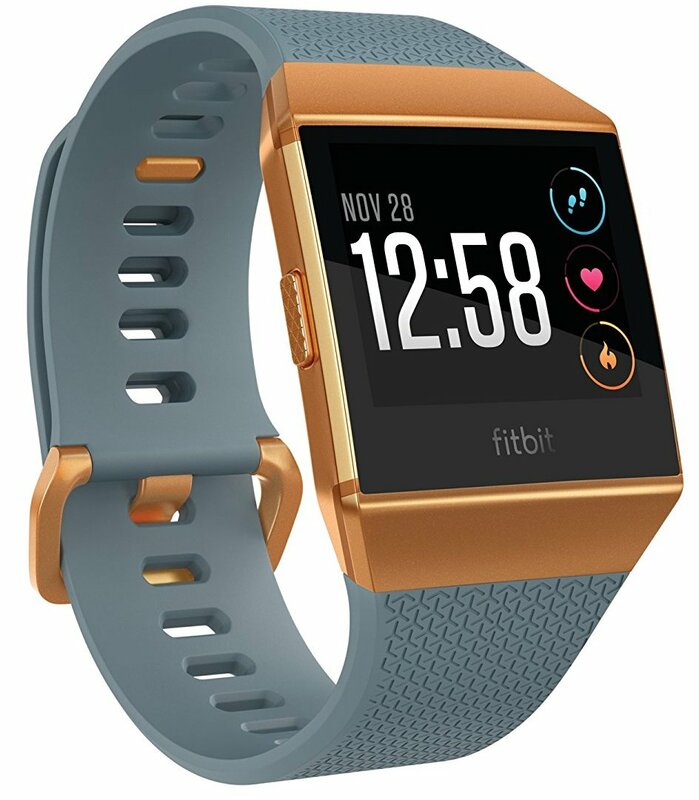 Fitbit FB503CPBU Ionic Smartwatch can store and play more than 300 songs. There is built-in gps/glonass to track pace, distance and routes. It also has heart rate tracking and real-time zones. You can make payments on the go with this smartwatch as it has a built-in NFC. This Fitbit smartwatch looks good on man’s hand. 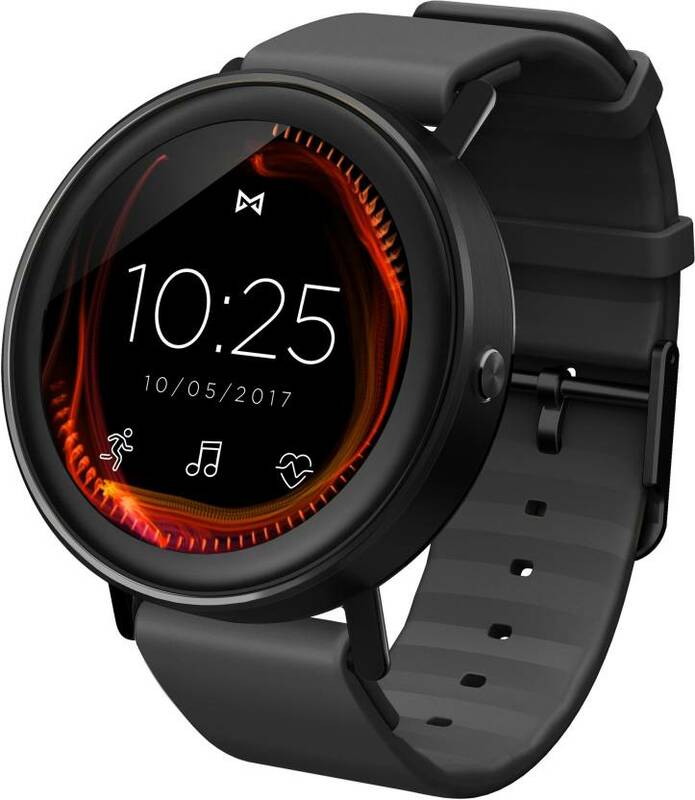 The Misfit Vapor Smartwatch is compatible with iPhone (iOS 9 and Above) and Android Phones (Android 4.3 and Above). It is powered by Android Wear 2.0 and has Qualcomm Snapdragon Wear 2100 Processor. It has a touchscreen function and Standalone Wireless Music Player feature. This smartwatch is water resistant up to 50 m. The look and feel of this smartwatch are perfect for men. 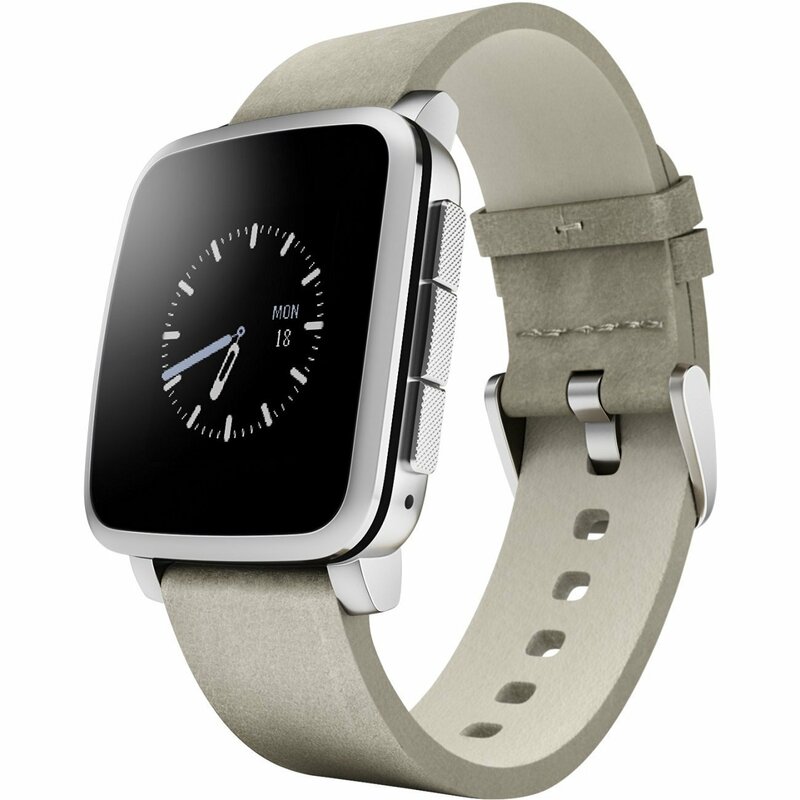 Pebble Time Steel has all steel body. It is water resistant up to 30 meters and has an always-on display. This Pebble smartwatch has a built-in activity tracker named Pebble Health that tracks all activities like your sleep with daily reports and weekly insights. It has a built-in microphone for voice notes and quick replies. You can choose from thousands of watch’s faces and apps in the Pebble app store. There are some drawbacks of this smart watch. It can’t make phone calls. There is no manufacturer/seller warranty on this smartwatch and till now no software updates available. 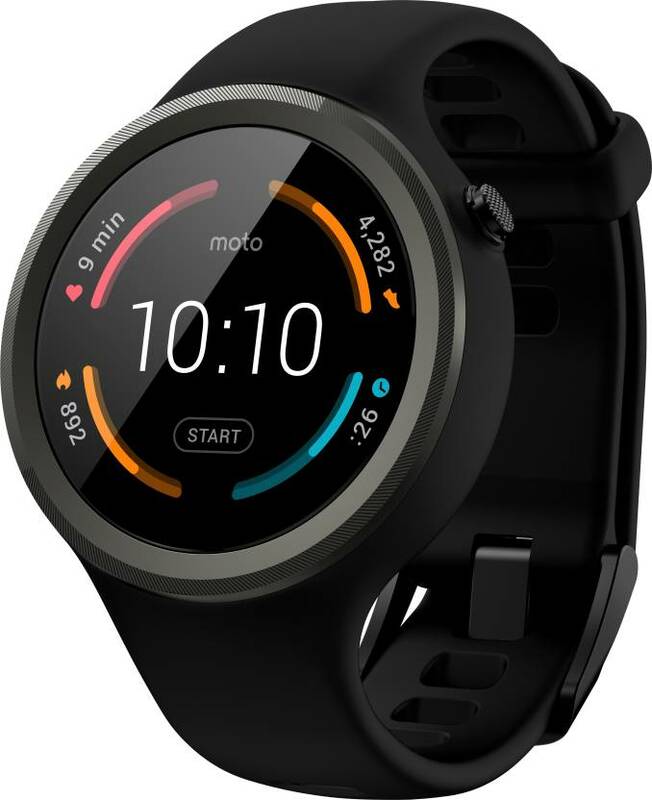 Moto 360 sports is the new Motorola Smartwatch. It is the best smart watch that is compatible with android and ios. It is designed for men and women both as it is available in many colors, sizes, and styles that fit you best. With this best smartwatch, you can stay connected and up to date by getting messages, news, weather, and more without constantly having to check your phone. The Moto 360 does not have calling function. But otherwise, this comes under the best smart watches for men and women under Rs. 15000 with accurate heart rate monitor. This is the list of best Smart Watches For Men in the year 2018. Hope, you found all the details and price of all the best smartwatches you are looking for. If you have any query do tell us in comments. Also, if you want to tell us about your experiences with smartwatches, do tell us in comments. If you know any other best smartwatch available in India, do tell us. We will do research and update this list with credit.